Makers and Raspberry Pi enthusiasts looking for a new project to keep them busy this weekend may be interested in this compact Raspberry Pi Zero Wireless IP Camera which is being created by MWagner over on the Hack My Pi website. Offering a great project for those that would like to keep their eyes on locations where cabling would not normally be a viable solution. 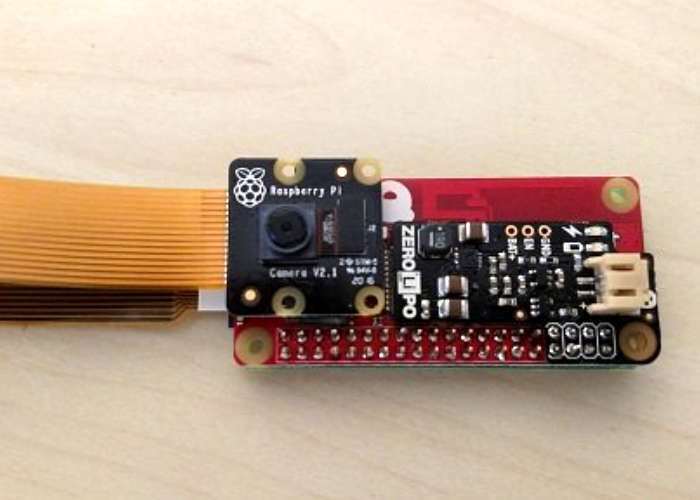 To build your wireless camera you will need a Raspberry Pi Zero 1.3, Red Bear IoT pHAT, Pimoroni Zero LiPo, Raspberry Pi camera module and a few other bits. MWagner explains more about the inspiration behind the Raspberry Pi Wireless IP camera. A family member asked me to put a camera in our garage recently, and immediately I decided to use a Pi Zero. Back when I was interviewing for my current job, I was dabbling with the idea of making a wireless, battery powered IP camera that I was going to attach to my dog, and get some cool footage of my dog running around. I never fully finished that project because, at the time, giving the Pi Zero wifi involved either soldering on a wifi chip to the bottom of the Pi, or using the MicroUSB port. Also, at the time, battery powering a Pi Zero project was a bit outside my skillset. Recently, with the help of Red Bear Labs, I was able to make a few of these IP cameras. I started the build back before the Pi Zero W came out, so this hardware guide is how to build one of these cameras on the Pi Zero 1.3. This project will be part 1 of a multi-part project, incorporating a few Pi zero’s, a Pi 3, some software and some hardware. Ending, hopefully, with a fully functional security system that notifies the owner when there is movement.